Yogic breath can change your life. This type of breath is different from just the in and out breath – it is a full breath that allows your to live a stress-free life. This practice can take a lifetime to master but with help from Yogi Cameron, author of THE YOGI CODE, we hope you will be able to try this practice throughout your day. No matter how much I write about pranayama and spiritual practices, the full yogic breath will always be the first one I discuss. It is the beginning and end of all breathing practices in so much as it is a complete practice on its own. If you don’t do any other practice, do this one. When I teach this practice, I tell people to do it not only in the morning but during the whole day. If they encounter a stressful person or situation, for example, they can use it to calm the mind and avoid a conflict. I challenge anyone to do this breathing technique and try to become emotional. It isn’t possible. When prana is flowing so perfectly and correctly, nothing can bother you. It has literally saved my life a few times, including the time I almost choked, as I mentioned earlier. Before undertaking other more advanced breathing practices, we have to make sure we are breathing in and out fully and correctly, meaning that we are using the full capacity of the lungs. As most people breathe in a very shallow or interrupted manner, doing this practice sets the rhythm for all the other practices to come. Shallow breathing is the cause of many physical aliments like bad circulation, heart weakness, and blood pressure issues, but the main illnesses are really the psychological ones like anxiety and depression. These mental disorders occur due to the improper gas exchange on the physical level and lack of prana on the subtle plane. It’s like you have a huge capacity for energy and vitality but you are managing with much less. As we are not breathing in fully and don’t use our maximum lung capacity, the body and mind miss out on nourishment of the blood and energizing our system. And as we don’t exhale fully, some carbon dioxide and other impurities remain and slowly start to poison the blood. Breathing correctly is more powerful than any food, medicine, or treatment you could ever have. This is why some yogis live only on prana and never eat or drink anything. Learn to do these practices and you will conquer many of your health issues as well as start to live with an amazing amount of energy. From my experience with students in workshops, not many people know how to fully breathe properly. And most yoga practitioners think this is a basic practice and tend to overlook it, favoring more complicated practices. 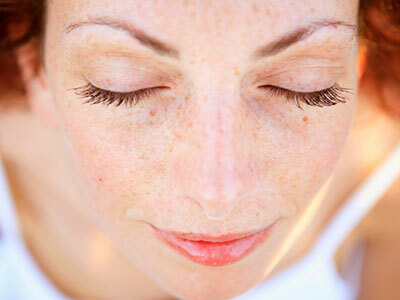 Full yogic breathing is a simple practice but one that will take a lifetime to master. Yogi Cameron shares how to turn negativity into positivity. 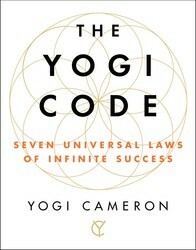 Excerpted from The Yogi Code by Yogi Cameron. Copyright © 2017 by Cameron Alborzian. Used by permission of the publisher. All rights reserved.